Our No Boundaries 5k program, in partnership with New Balance & Health Spring Fitness of Vacaville, focuses on beginners. 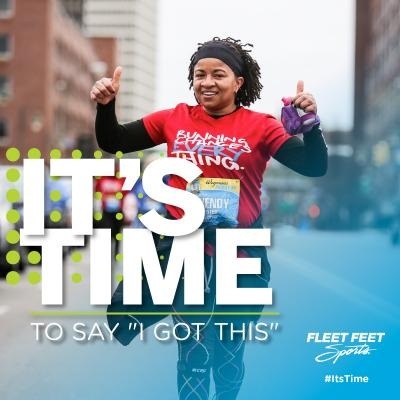 The program is structured to help you cross the finish line of your first race in just 10 weeks! Along the way we'll provide you with motivation to keep you moving, guidance and advice, weekly group training runs or walks, and educational clinics on topics such as proper nutrition, choosing the right gear, and avoiding injury. Plus, you'll have the camaraderie of others just like you! As part of your registration you will receive fun gear, fully supported weekly workouts (water, Nuun, and key drop), a weekly program newsletter keeping you up to date, expert coaching and mentoring and a change of life experience which you will never forget. The program meets twice a week during the training period, once on Tuesday @ 9AM and once on Thursday @ 9AM. The workouts will last about an hour to an hour and a half as we increase mileage throughout the season. HSF members price $75 for 10 weeks. Non-Member price $95 for 10 weeks.